Delight 1.7 Symbian OS update for the Nokia 808 is ready. I just upgraded and tested. everything looks fine. Limited Wi-Fi connection bug is fixed and many more. Follow below link to down load and upgrade. Greatly reduced number of non-working garbage modules. More cool and beautiful widgets in Delight style. Python + Python 2.0 + Qt IAP are embedded! Now you can launch any and I mean any 3rd party app designed for touch UI! Beautiful colourful top-bar above both native and even QtQuick apps and in power saving mode too! This is a unique mod created entirely by me (custom colours over QtQuick apps never existed before). Nokia Maps bear semi-transparent elements for a better usability + repaired Maps Loader! Do you want to download, for example, Rhineland-Palatinate region of Germany? Maps Loader will be working by requests, as I cannot place 50 GB on free hostingÂ…! Updated VoIP audio service to v2.3.1 (very rare and final update from Nokia) for Fring-like apps. Though Fring is dead, some other apps like MobileVOIP might still work. Included MemSpy and ScreenGrabber. These free rarities by Nokia were really saved from hell! There is no more powerful task manager for Symbian than MemSpy; and ScreenGrabber allows taking both screenshots and recording screen continuously in GIF animation. Repaired downloads through Nokia Mobile Dictionary. Edited Converter app resources so that words donÂ’t superimpose any longer. Music Delight widget skin now bears almost non-tangible half-transparent base. This is useful for white album covers. No more Limited WLAN Connectivity bug! Repaired Connectivity Analyzer (Get Host By Name module after the death of Nokia servers). 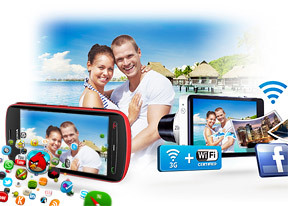 Camera mod which doesnÂ’t break PureView zooming (by Osenok and Timoxa)! This mod is just awesome! Added stubs for all rom apps. Now, for example, Internet Radio is shown that itÂ’s properly installed in AppList and can be launched from store. Mobile data tracker widget in Delight style just rules! I showed a demo to the female Delight users, and they felt ecstasy seeing this! Sound Improvement v3.5 by ExtraX7. Anna equaliser and loudness mod are now working from C drive with ROMPatcher+ patch. Small profiles widget with custom graphics. Credits go to ICE GAME. Top bar colours above native and QtQuick applications. Note: white colour will persist over Qt applications with custom QML files, for instance SIStore! Java permissions mod, exclusively fully adapted for FP2. Offline queries are fully or partially disabled for Bluetooth, Wi-Fi and FmTx. Thanks to CODeRUS for the first patch. USB OTG pop-ups patch (another thanks to ExtraX7). Colour gamma of mobile data tracker widget in Delight style. Ability to change user agent of the built-in Web Browser via Delight App. I've had many experiences of shooting with different smartphones. In my experience, none of the so called flagships impressed me as much as the Nokia 808 PureView and Nokia N8 in terms of still photography. I am not talking about video recording capabilities. I don't have these two phones anymore. Talking about the 808, the photos captured by it had plenty of details, negligible noise, natural colour profile in default mode unlike today's smartphones which boosts saturation, contrast, exposure and sharpen the image post processing which might please some people. I know RAW option is available these days on most smartphones but I don't need the huge size of the file produced. Nokia figured out the way to smartly use the 41 MP Module to zoom on the 808, you had more zoom at less megapixels without the demerits of digital zoom, oversampling, pureview mode etc much ahead of the competition. The Xenon flash on both the Nokias helped to freeze the shot and rendered human skin in its original colour with great detail in low light conditions. LED flash is straightforwardly garbage Nokia 808 remains the only phone (Not considering anything above 14mm thick as a phone) with a big sensor at 1/1.2" and the Nokia N8 being one of the very few phones with big sensor. Sure, these days we have AI, Advanced HDR, Computational Photography (add some more hyped words) etc on smartphones but the ability to render a scene in its original form with greater details, natural colours, laid back approach defeats them all. 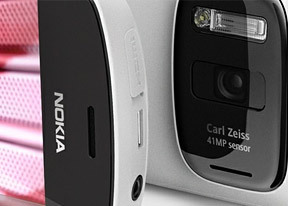 Nokia 808 was the last best of camera phones and I miss it very much. I believe getting the work done using less resources or only the necessary resources so as not to waste more than what's needed. Symbian, as an OS, didn't need an Octa Core CPU to support the 41 MP Camera few years back and it was absolutely fine with what it did offer at that time. If the tech was further innovated, even as a secondary functionary, it would have been much better than what we are left with these days. It's time for me to bid farewell to the legend. I'll probably get a cheap 200 dollar Android phone for basic needs and a separate DSLR to further pursue my interest in photography. Thanks Nokia and all the brains behind the Nokia 808 & N8. You'll know what I'm about if you ever held a Nokia 808 in your hand. Nokia 808 was an award winning phone in MWC 2012 if I wasn't mistakenly remember. A great phone and also a Masterpiece in its time. tonymancs, 01 Feb 2019Somehow it worked when I was in Vietnam but as soon as I came back to Czech Republic it ceased... moreThat's really strange. I miss having a good browser to view YouTube on. Now I only can view very low quality videos from YouTube in the standard Nokia browser. Aadrian, 16 Jan 2019I tried Opera broswer but it's somehow not working (anymore). Somehow it worked when I was in Vietnam but as soon as I came back to Czech Republic it ceased working again. Anonymous, 18 Dec 2018Try Opera or UC Browser. I tried Opera broswer but it's somehow not working (anymore). Aadrian , 24 Nov 2018WhatÂ’s a good browser to watch youtube on?Try Opera or UC Browser. WhatÂ’s a good browser to watch youtube on? I bought the phone as new in 2012 and been using it ever since. I have an android as my primary phone, but the camera lens is curved and sensor is small. This android phone (samsung s7) has better dxomark rating than my nokia 808 which is pure joke. It not even close to nokia. S7 has HDR, panorama etc. and it's fast. But that's it. If you take a picture indoor, for instance picture of a window, you can clearly see how perfectly straight window frame is curven on your monitor screen :) If you make video with S7 in panoramatic style (you turn aroud), the result video is uncomportable to watch. Its has the same effect as turing around in google maps street view. But not with nokia 808. The image is clear, undistorted and trully believeble. Even when you playback a video, you can feel yourself beeing there, on the spot where the video was filmed. A true camera phone. This is an amazing camera phone ! 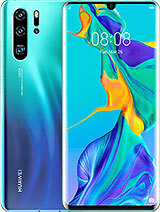 even now i am using Huawei P20 pro as my primary phone , i still need Nokia 808 as my secondary one . Its close up mode is super . . If this phone ran Android and could run a recent version from XDA, this phone could easily be $1000 (or even more)! Anonymous, 07 Sep 2018Biggest joke i phone history. 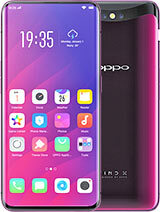 "pure view" and super low res screen... what a scamAn even bigger joke is people paying 700 usd for something that has a 2012 phone 4s resolution... in 2018. The special thing about this phone, to me, is that it's one of the only phones that has not depreciated much at all. Like it's still the same price now as it was back in 2012. Anonymous, 07 Sep 2018Biggest joke i phone history. "pure view" and super low res screen... what a scamThe screen resolution in this phoen was ok. More resolution in these size screens are just marketing. pamelakeme, 20 Aug 2018where can i buy this phone? any suggestions, thanksYour best chance is on eBay. I bought mine on eBay a couple of years ago.